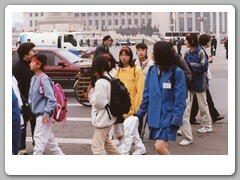 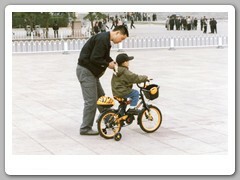 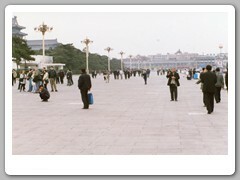 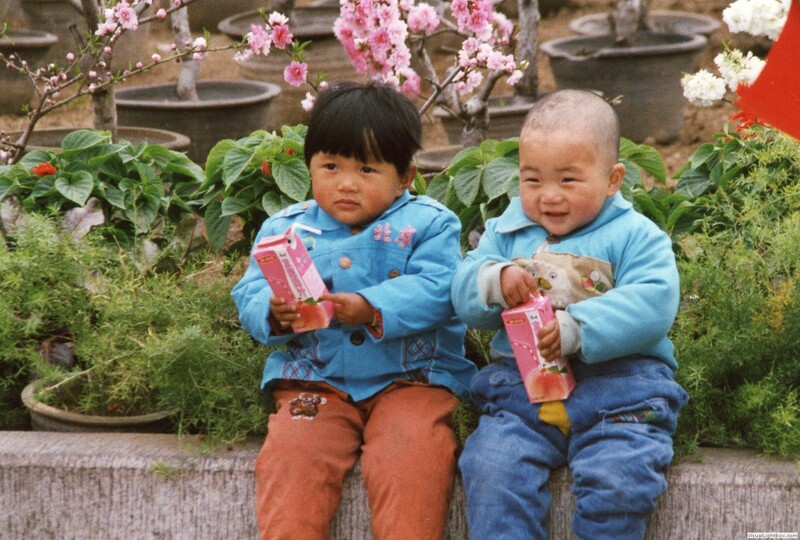 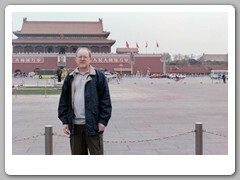 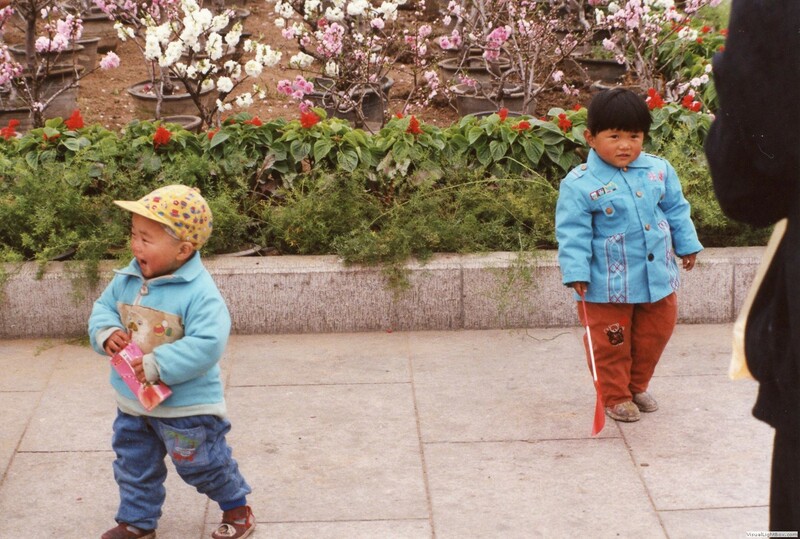 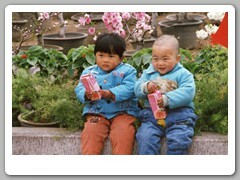 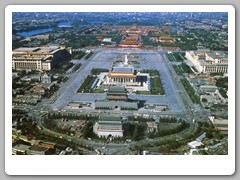 At 100 acres, it is the largest public square in the world, capable of holding more than a million people. 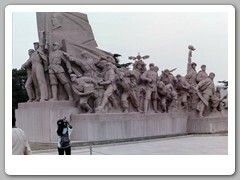 Each of the cobbles is numbered so that parade units can line up in their designated spots. 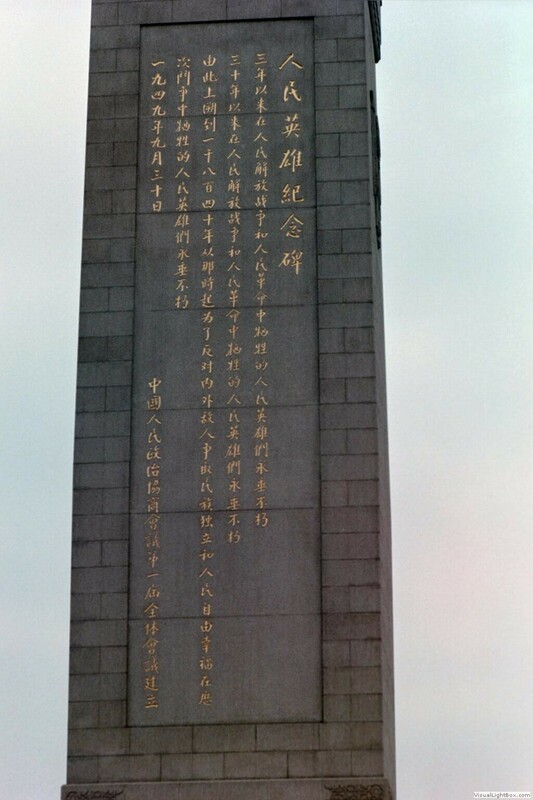 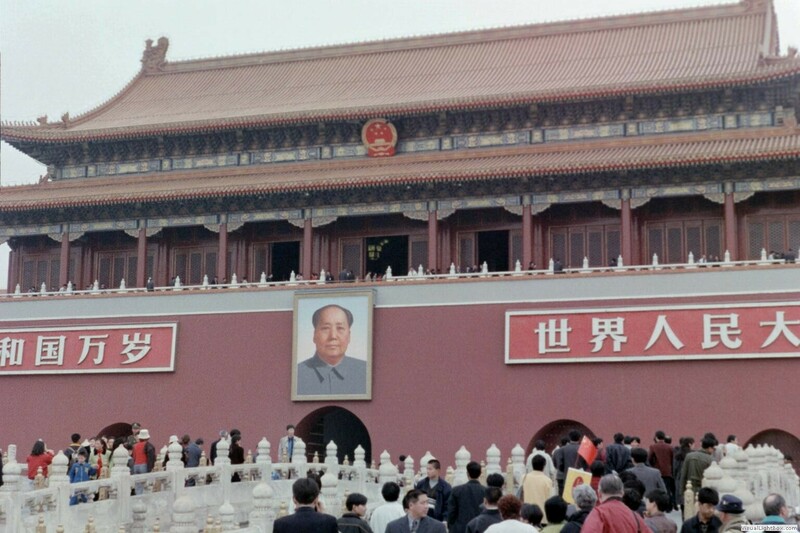 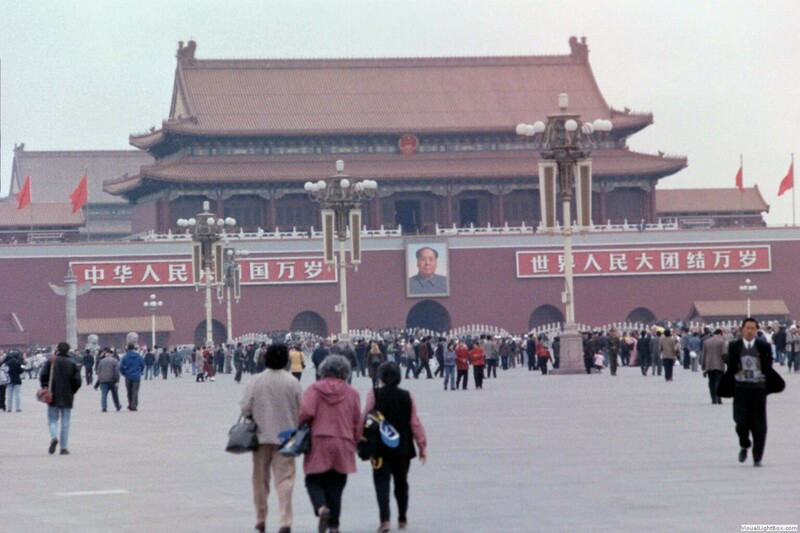 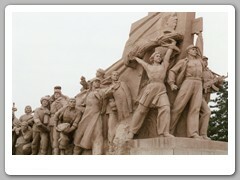 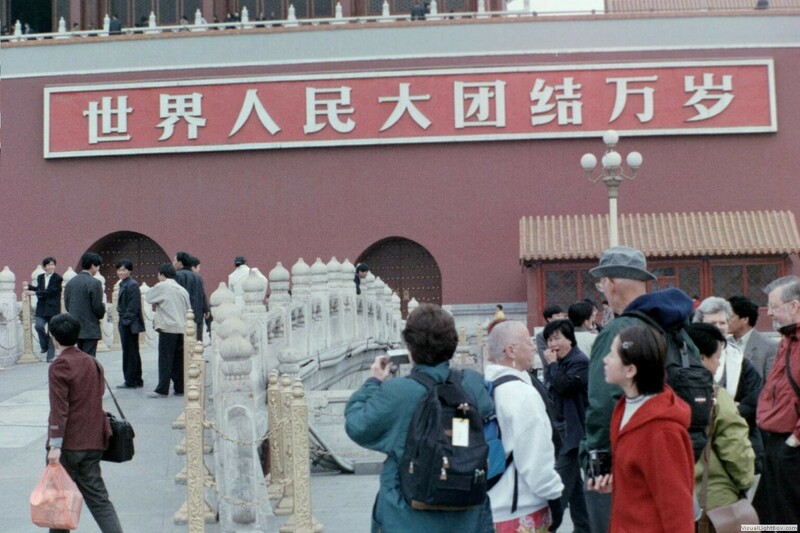 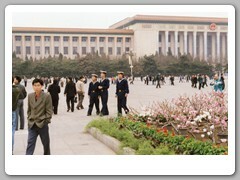 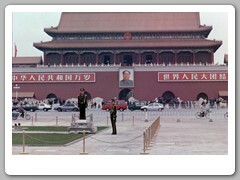 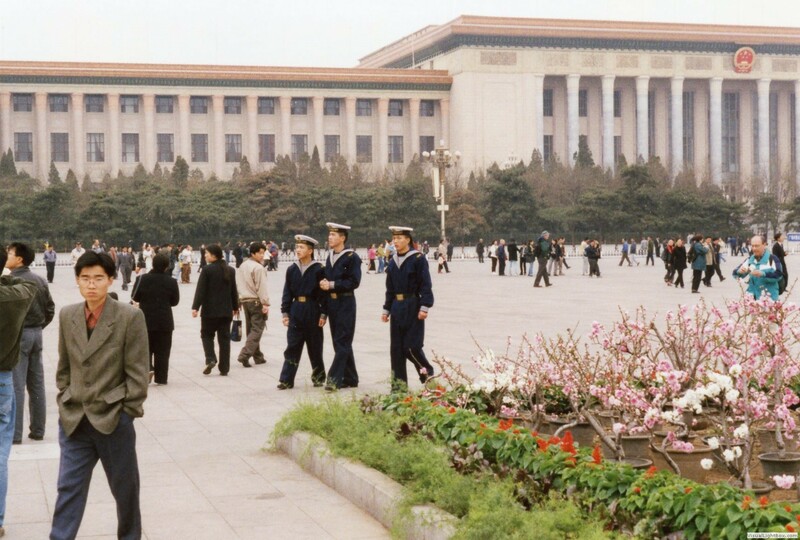 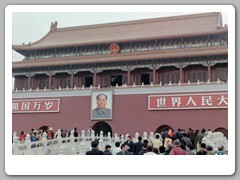 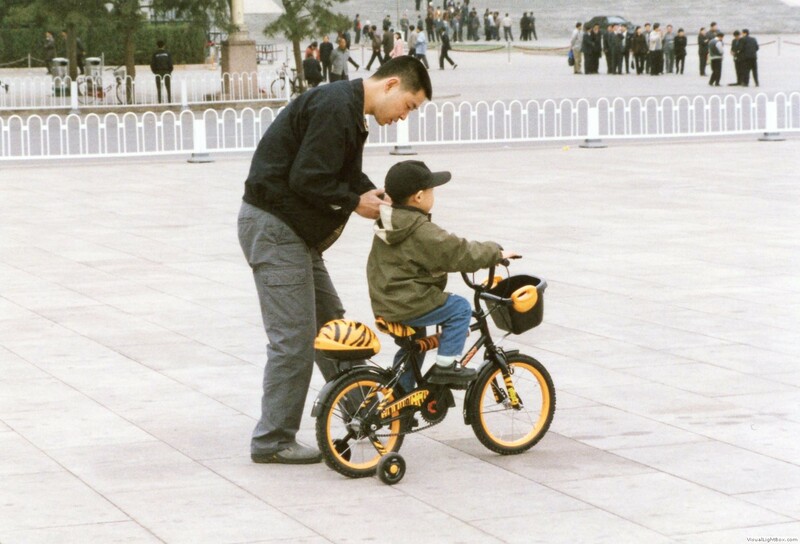 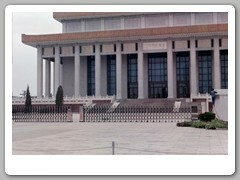 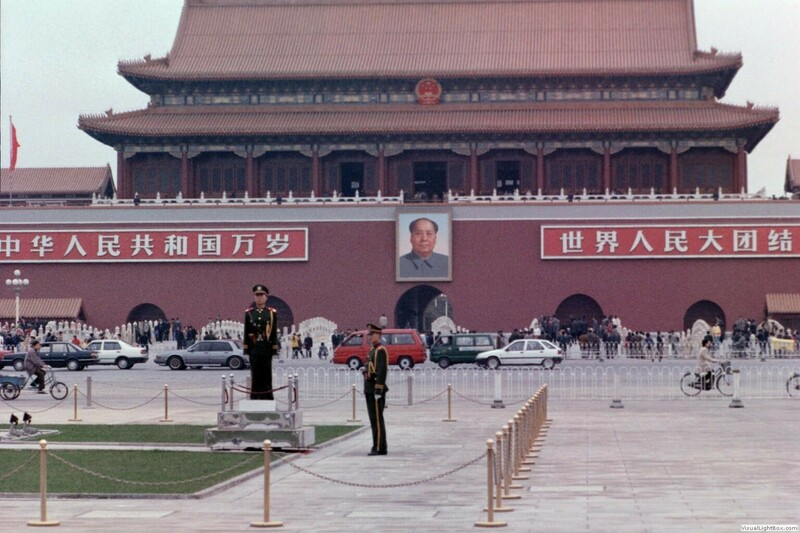 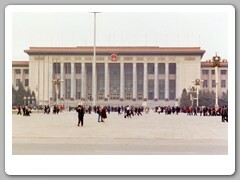 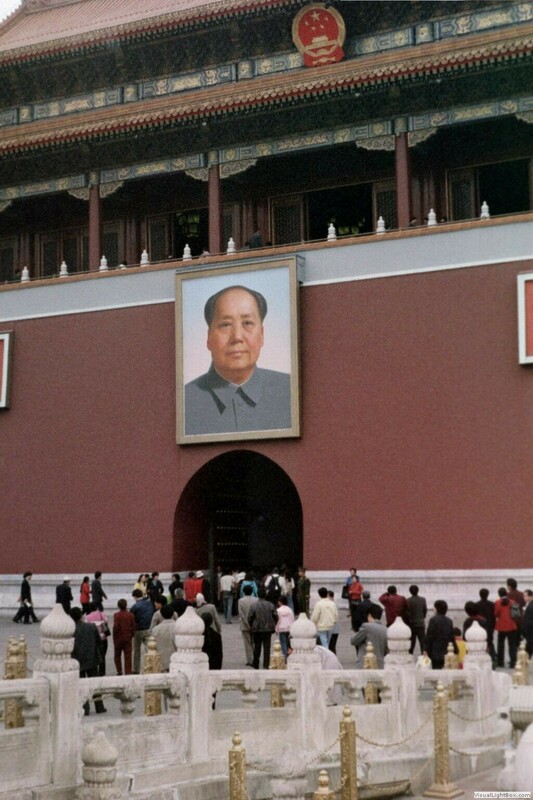 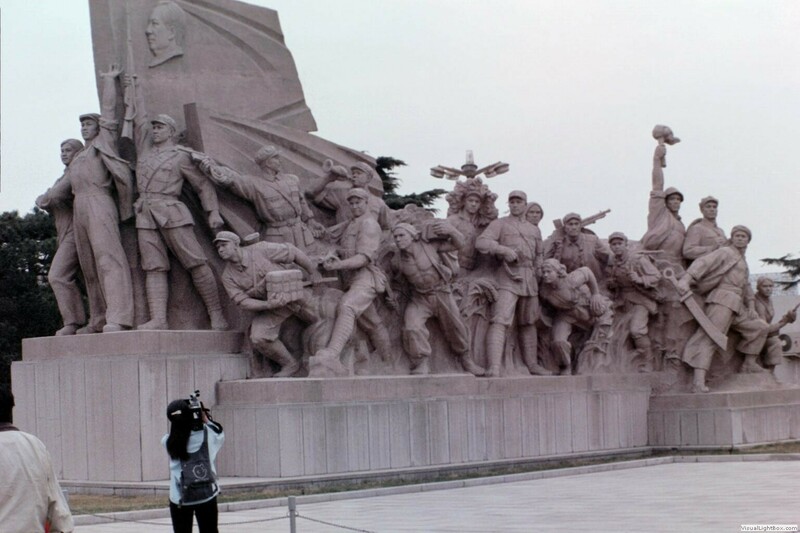 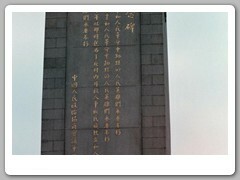 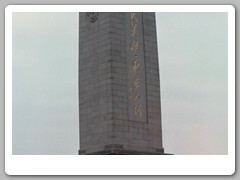 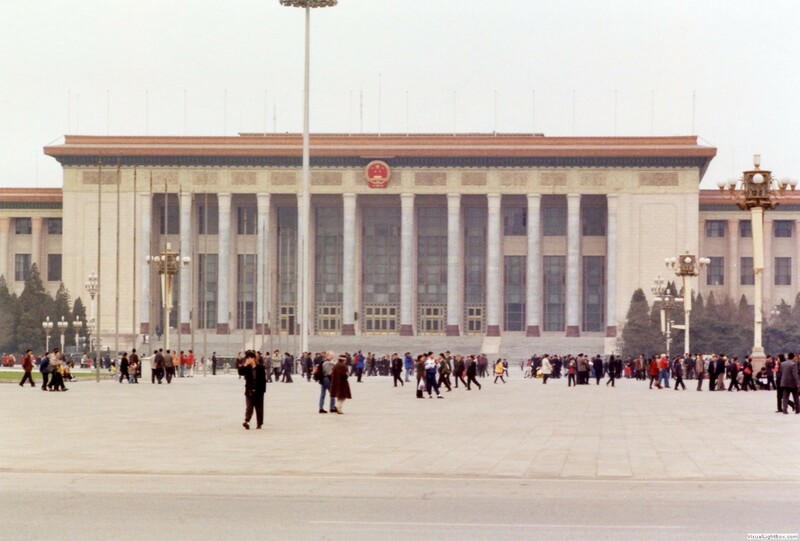 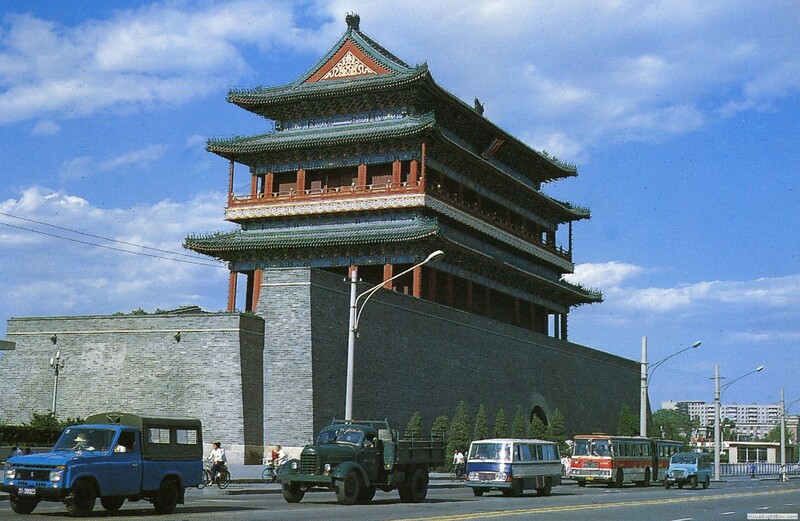 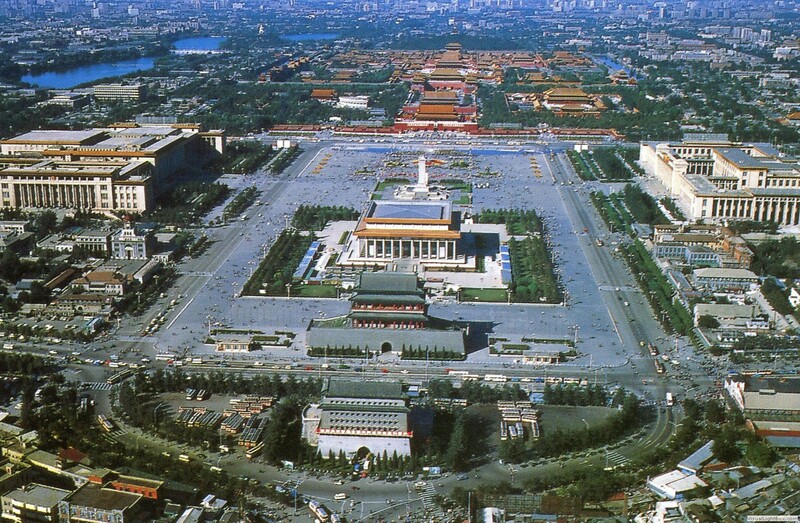 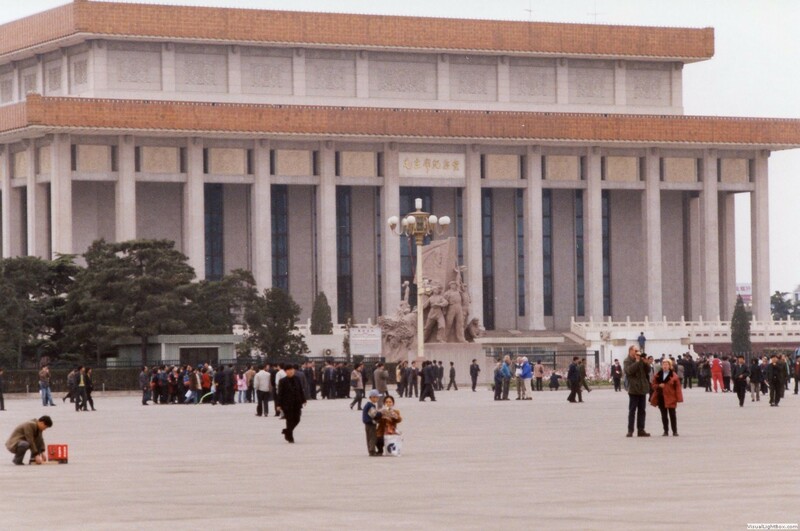 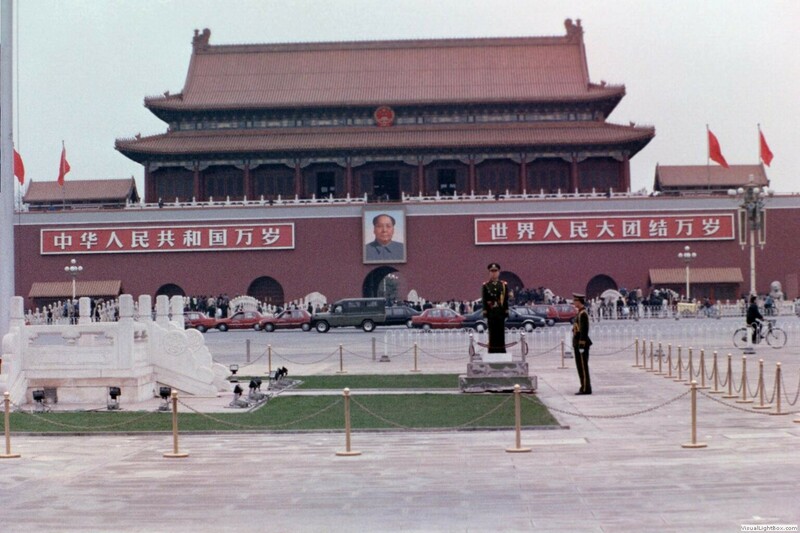 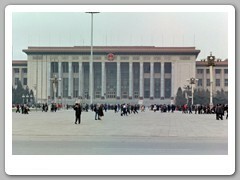 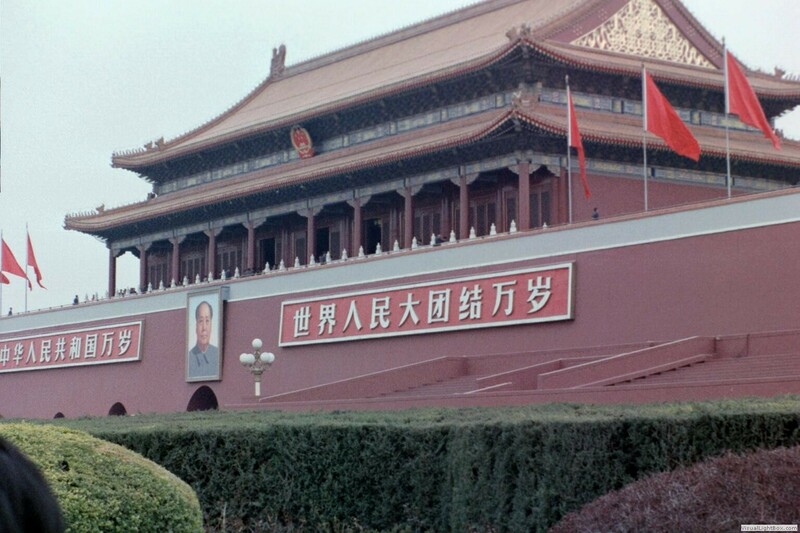 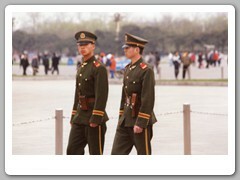 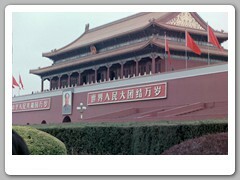 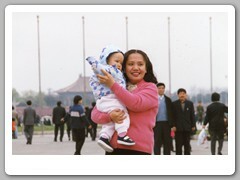 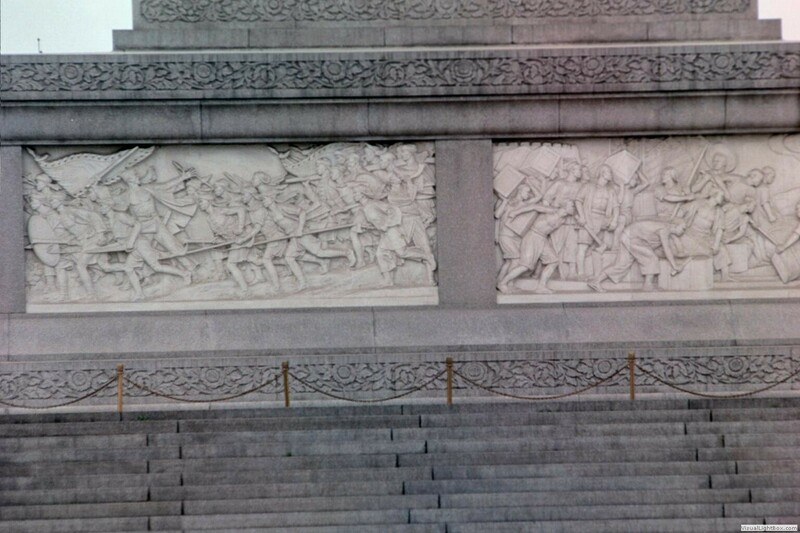 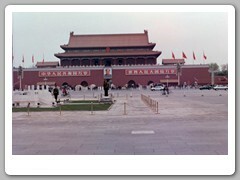 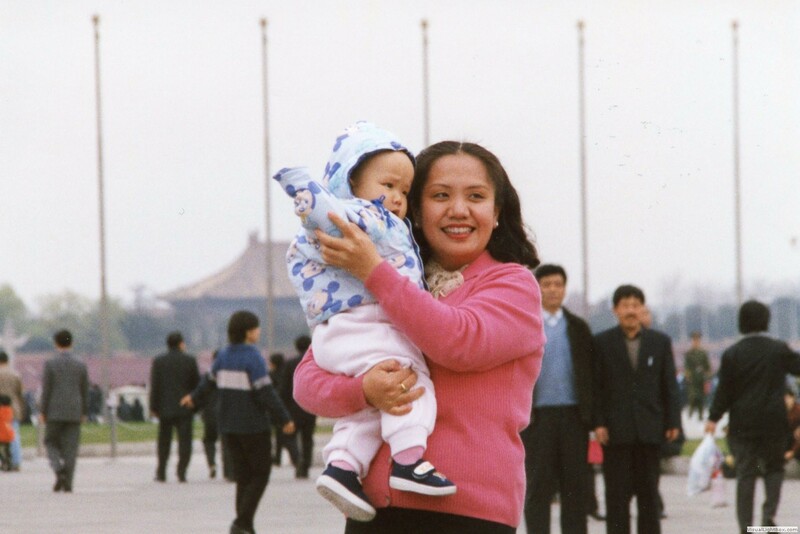 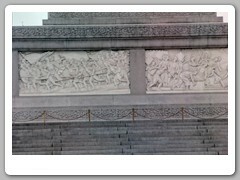 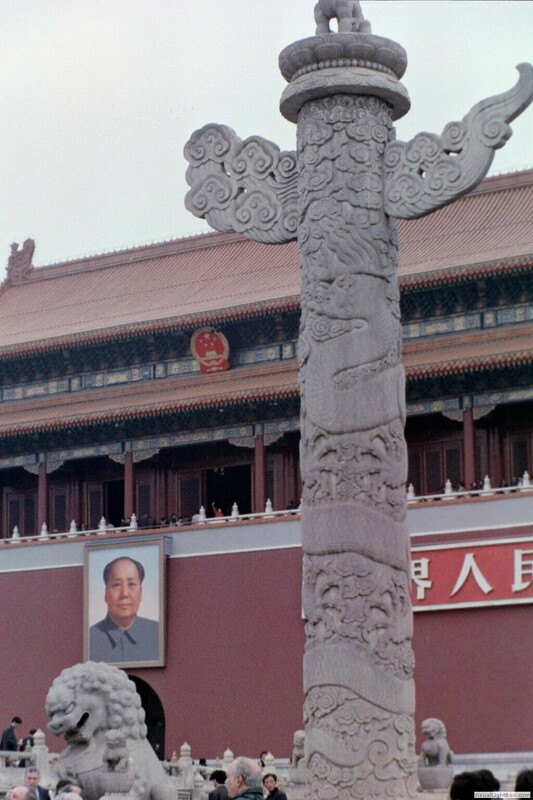 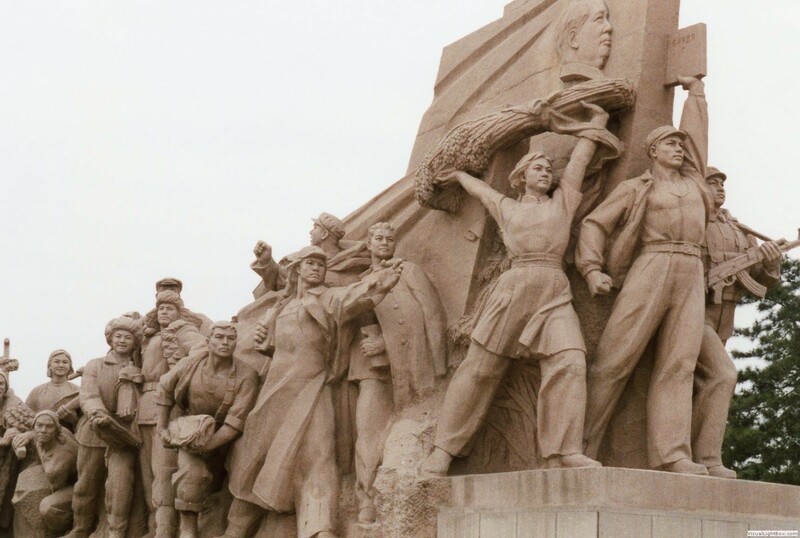 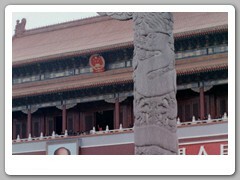 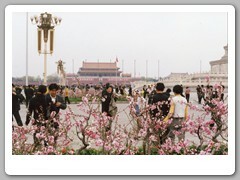 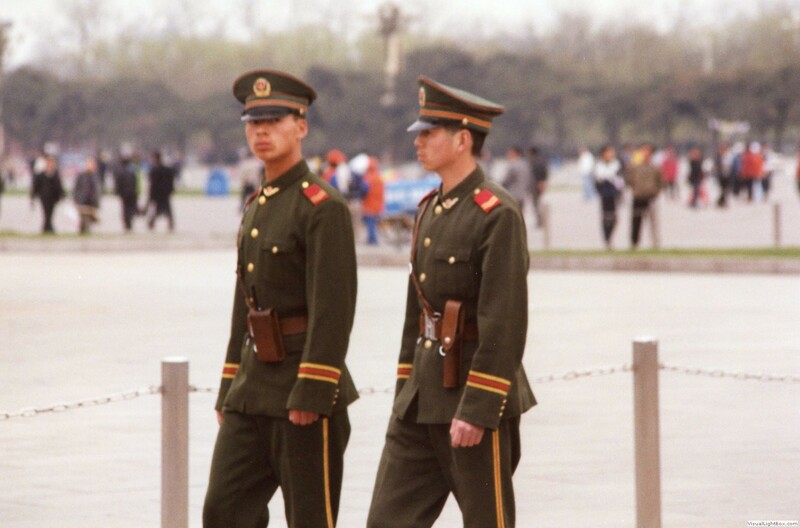 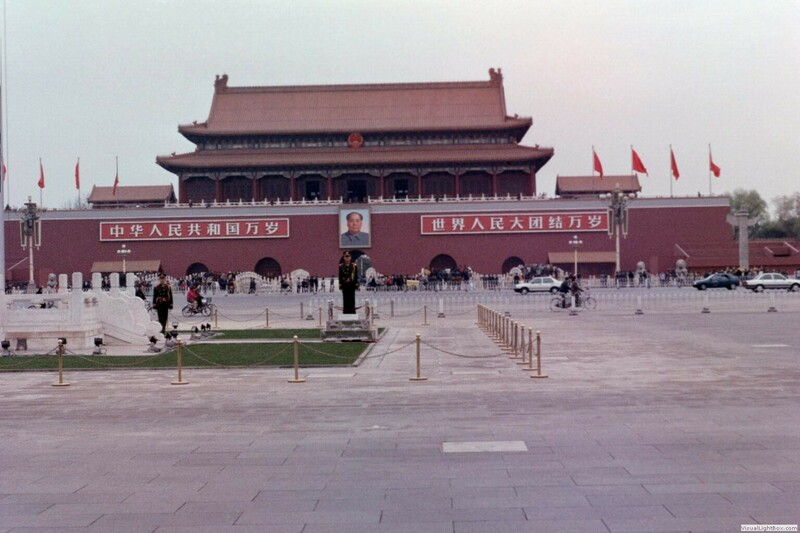 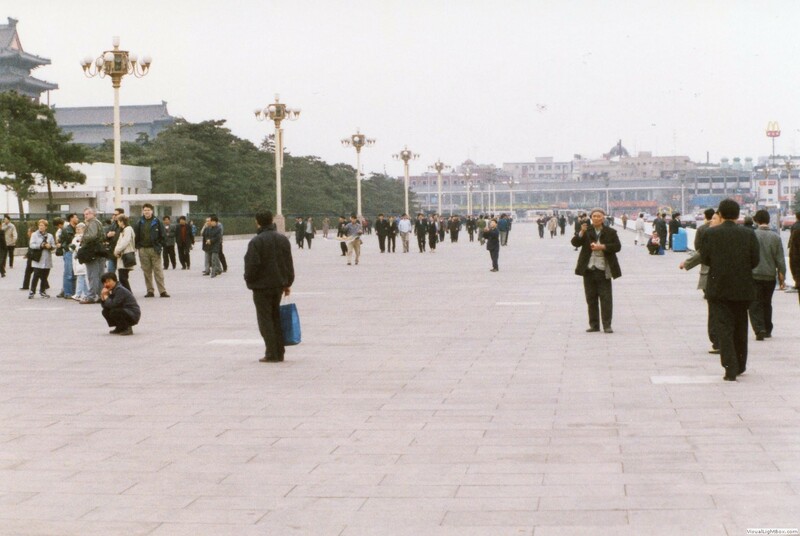 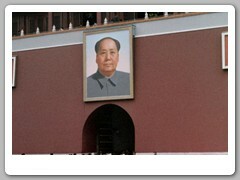 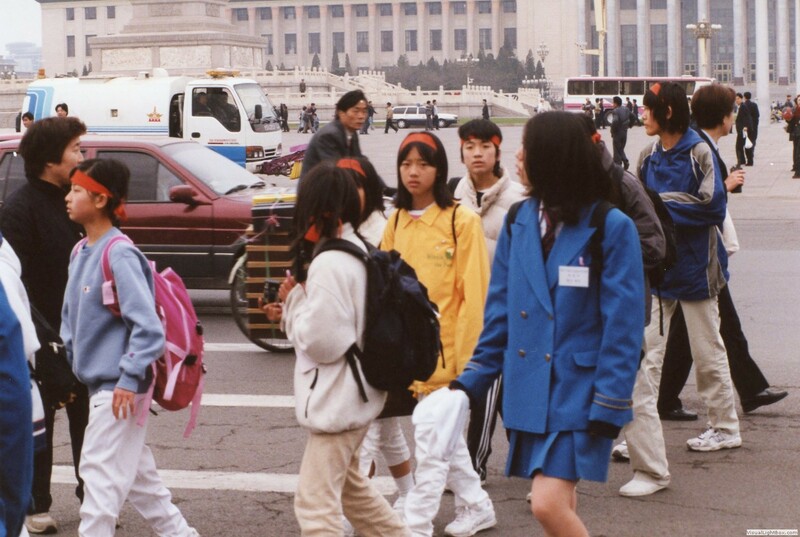 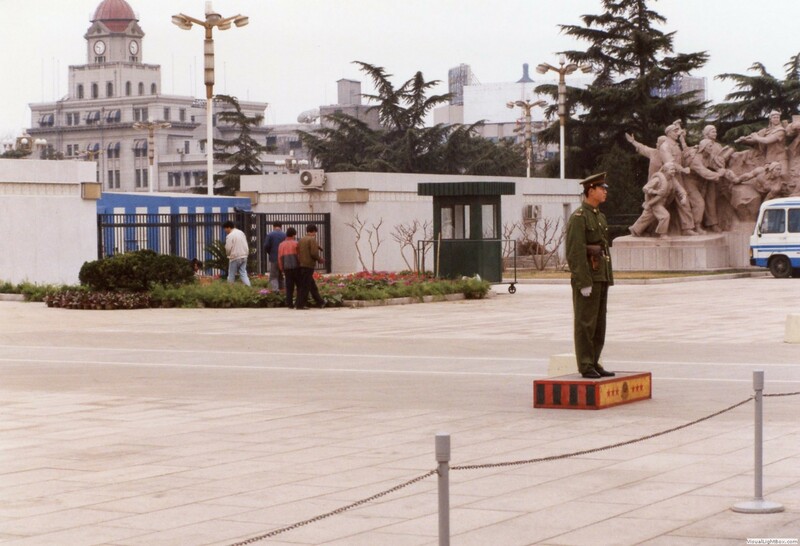 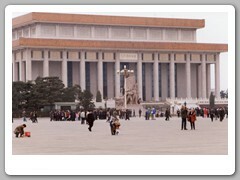 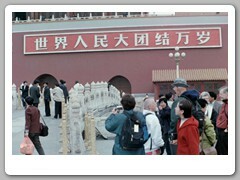 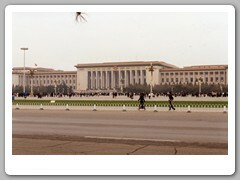 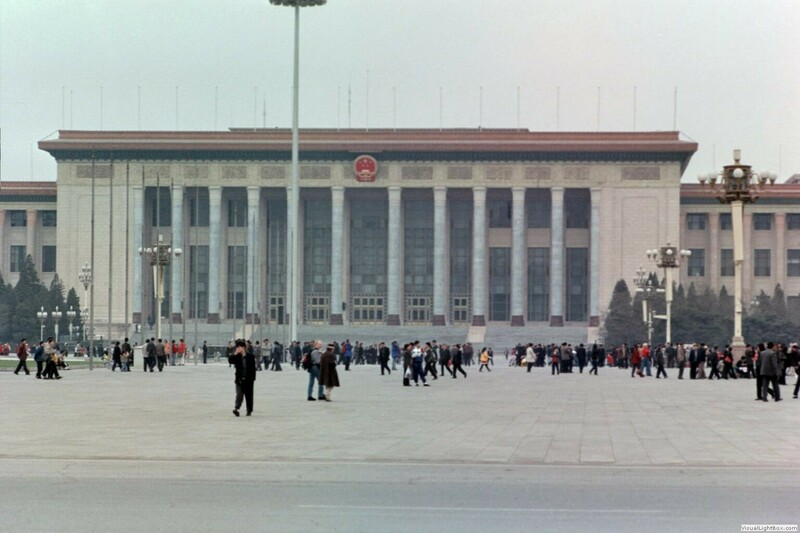 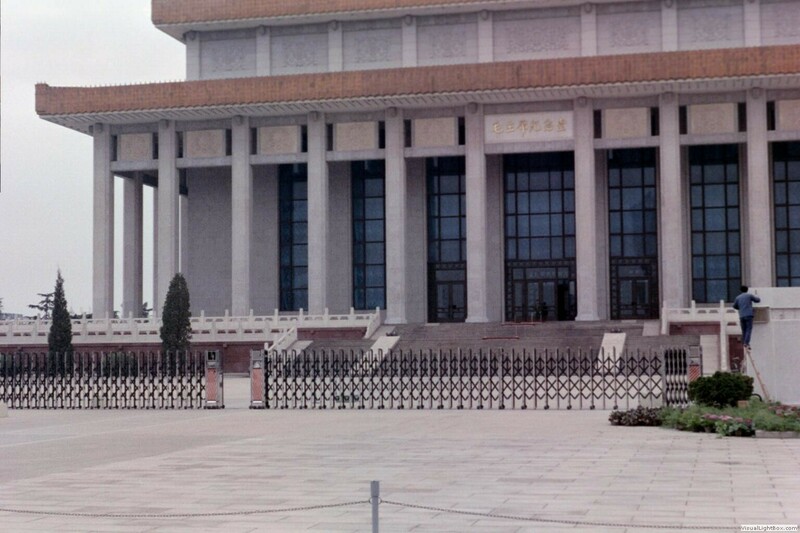 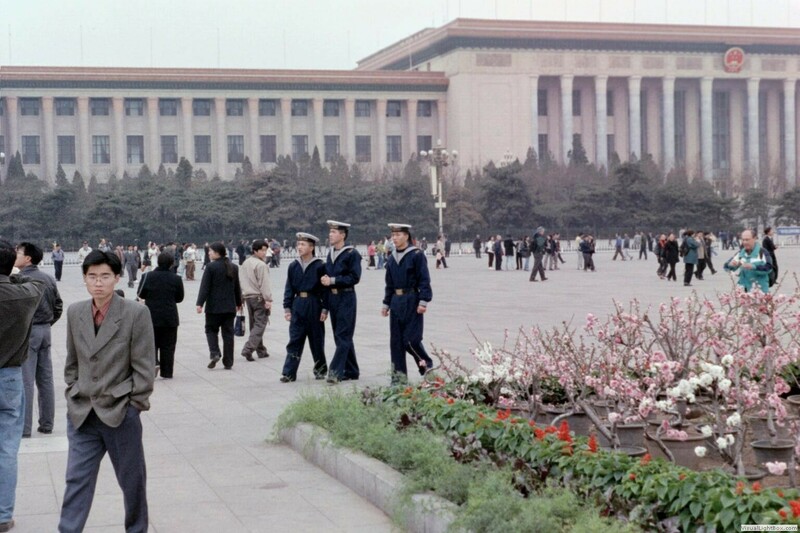 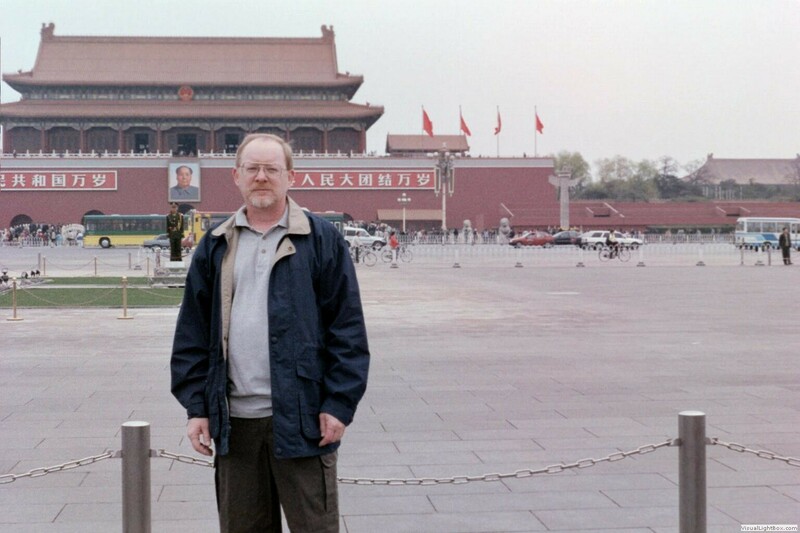 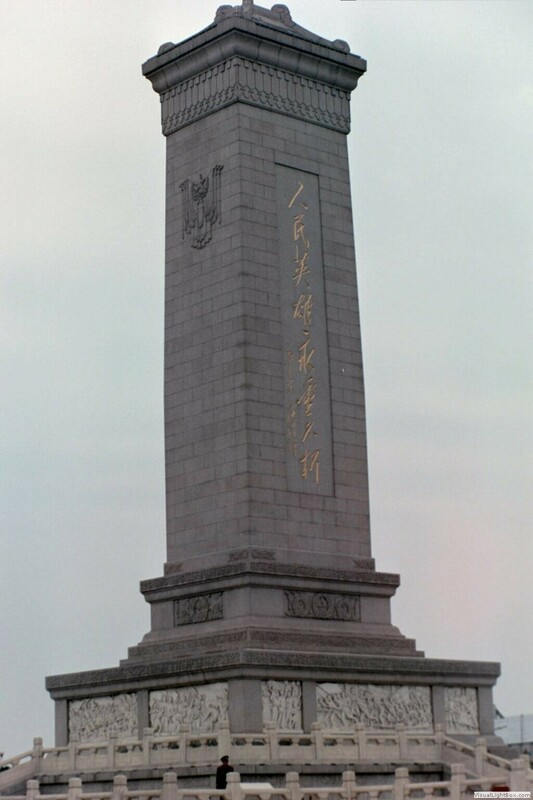 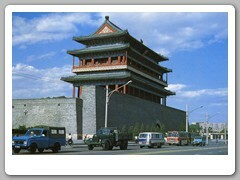 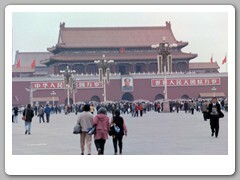 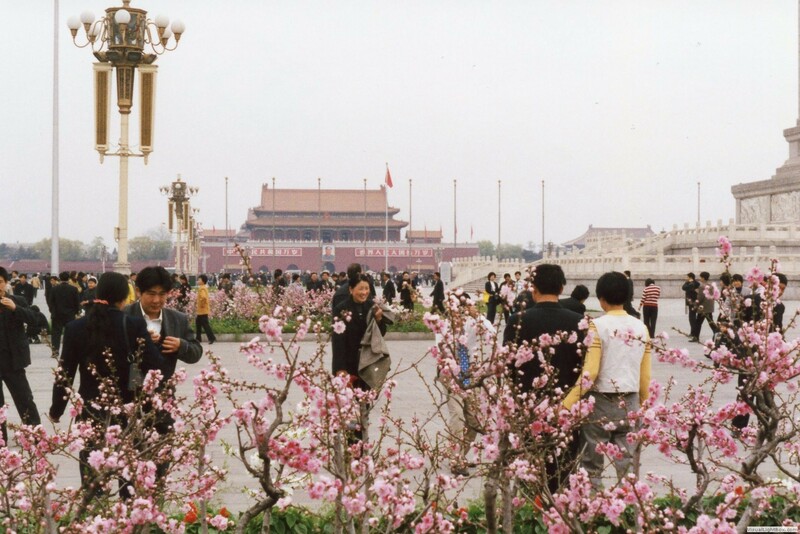 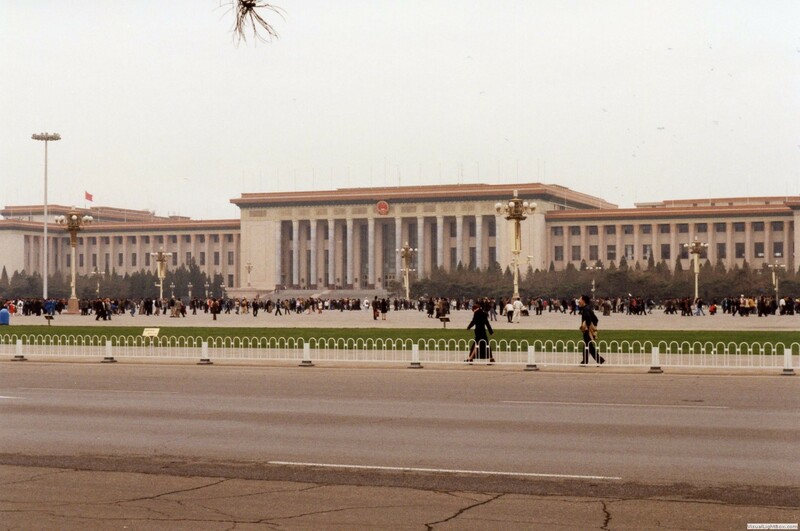 Lined with official buildings, Tiananmen is presided over by the giant portrait of Mao, which hangs above the Gate of Heavenly Peace and seems to stare down at the leader's own Memorial Hall. 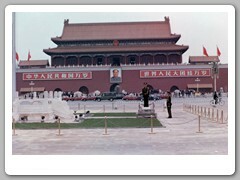 Here Mao is entombed in a crystal sarcophagus, his body draped in the red flag of the People's Republic that he founded in 1949. 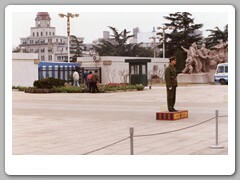 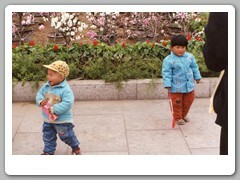 We spent a few hours wondering around the square before going through the Gate of Heavenly Peace (opened to the public in 1990).